I’m a little ashamed to say that I only became acquainted with your story when it was almost over. I seem to have a knack for that, coming into the story at the very end. Lord of the Rings. Harry Potter. Star Wars. I won’t go on. But I’ve grown to love your story just as much—if not maybe a little smidge more in some ways (gasp! )—than the others I mentioned. Yours is a story of adventure, bravery, love, humanity and heart—some of the things I prize most. Your adventures truly are some of the most spectacular I’ve seen. And that’s saying something. You had a tough row to hoe, Nate—the adventures of the swashbucklers that came before you have become legendary: those of Indiana Jones. Han Solo. Lara Croft. Okay, I’ll stop. My point is that although to begin with it seemed unlikely that your ventures would measure up, they do. You traveled to new and exciting places, like South America as you hunted for El Dorado. Tibet in the Himalayas on your search for Shambhala. Yemen and the great Rub’ al Khali desert on your way to find Iram of the Pillars—the Atlantis of the Sands. Scotland and Madagascar on your pursuit of Libertalia and Henry Avery’s fabled treasure hoard. I’ve never had the chance to travel around the world, but through your eyes, I saw all the lush and diverse landscapes for myself, had the chance to marvel at them for myself. Your stories blend the adventure with an equal amount of heart. The stories you allowed your audience to be a part of are more grounded in reality and humanity than any of your peers. Indiana Jones and Han Solo didn’t allow us into their lives as much as you do. You showed us the deep bonds of trust and love you share with your adopted father, Sully (Victor “Sully” Sullivan). You showed us how much your relationship with Elena is like ours: ups and downs, ins and outs, on again and off again, and in the end, a deeply-rooted friendship with someone who knows you better than you know yourself—not picture-perfect like the movies. Heck, your childhood was far from perfect, and there are many of us who can relate to that. It’s a rare thing for the “hero” of a story like yours to be so gloriously, so imperfectly human. You don’t try to shroud your exploits in bravado and macho-ness. In adventure stories like yours, the hero is usually the picture of heroic stoicism and daring. He falls down a cliff and jumps right back up, grunting, “I’m okay.” He punches a whole bunch of bad guys and keeps on truckin’ even though his knuckles are bloody. He gets cut and bruised and scraped and masks it beneath a stoic exterior. You don’t do that. When you fall down a cliff, it hurts. You don’t feel the need to hide that, and I find that admirable. I’ve seen you punch a guy and shake your hand and groan, “Ow that hurts!” You’ve gotten cut and bruised and scraped up and say things like, “Cliff-side grazed my face.” You don’t mask your hurts. You laugh them off, a trait we should all strive to foster in ourselves. (A quick side-note to Nolan North. But most of all, Nate…you’re just you. The biggest reason why I love you, Nate, is of course you. I may be reiterating something I’ve already said, but there are precious few heroes out there like you. You’re not afraid to show your vulnerable side to the ones closest to you. You value love and family above the treasure you go hunting for, and you’d let a whole city of riches burn to ash before you let any harm come to your loved ones. You’d rather sue for peace than fire a gun, but you will if the need drives you to protect yourself and yours. You’re never without a quip or a wisecrack, and you laugh off your misfortunes sooner than let them get to you. You’ve had your fair share of hard times and losses in your life, but you don’t let them define you. You rise above them. I feel like I know you as well as some of my best friends, Nate…maybe even family. Your stories and adventures have gotten me through some pretty tough times, Nate. No matter how bad things got, all it would take was to turn on the TV, fire up the Playstation, and spend a few hours with you in the ancient temples of Tibet or the mountainous, sweeping green and russet vistas of Madagascar. A mere few hours to set the course of my world back on sunnier paths. I can’t thank you (or Nolan or Naughty Dog) enough, Nate. And with the last few seconds of Uncharted 4, I can’t begin to describe the pain I feel at having to say goodbye. So here it is. Wait...no. I won’t say goodbye. I can’t…I can’t do that. I’ll say this. Thank you, Nate. You’ll always have a special place in my heart, and I will always remember you. 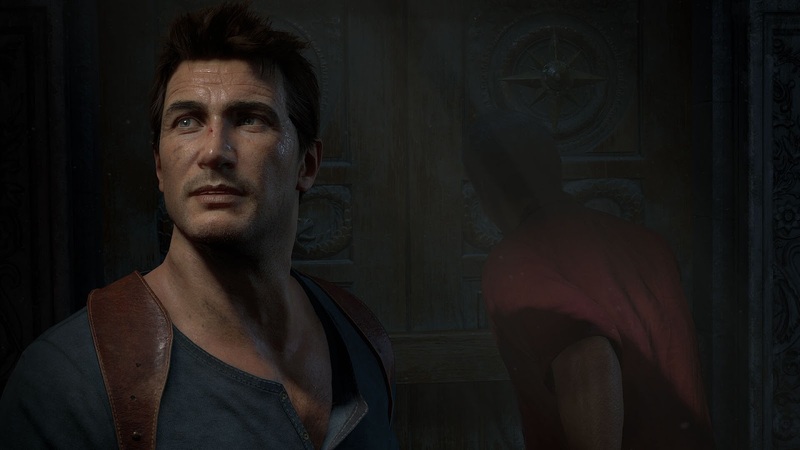 Have you played Uncharted already?